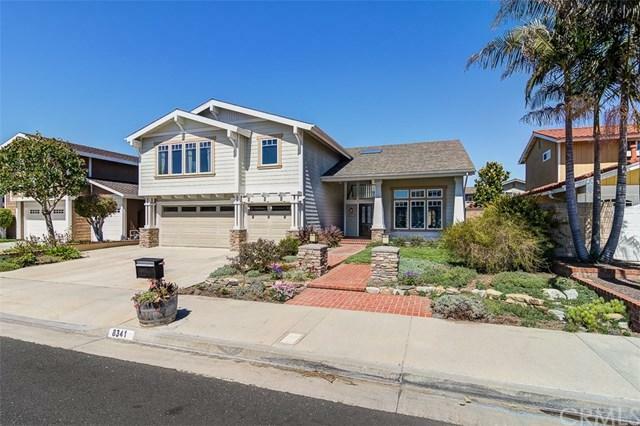 This stunning property nestled in the desirable Landmark tract of Huntington Beach is the quintessential family home. Thoughtfully designed w/ a versatile floor plan & tastefully upgraded throughout, this home is ready to be made yours. The sizable, idyllic backyard offers a perfect space for entertaining family & friends, complete w/ a new patio cover, gorgeous pool & jacuzzi. 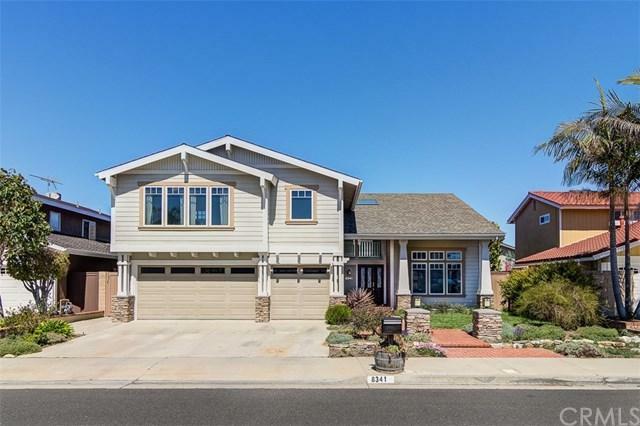 The lower level opens to the comfortable family room complete w/ a stacked stone fireplace & serene views overlooking the backyar This stunning property nestled in the desirable Landmark tract of Huntington Beach is the quintessential family home. 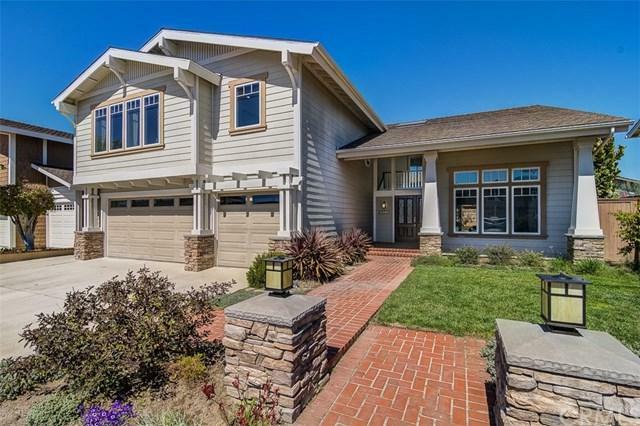 Thoughtfully designed w/ a versatile floor plan & tastefully upgraded throughout, this home is ready to be made yours. The sizable, idyllic backyard offers a perfect space for entertaining family & friends, complete w/ a new patio cover, gorgeous pool & jacuzzi. The lower level opens to the comfortable family room complete w/ a stacked stone fireplace & serene views overlooking the backyard. The upgraded kitchen is equipped w/ maple cherry cabinets, granite counters, gorgeous subway tile backsplash, & stainless steel appliances. Also found on the lower level is a functional downstairs bedroom w/ a full bathroom just across the hall. On the second level of the home you'll find the spacious master bedroom w/ vaulted ceilings & an attached master bath w/ dual sinks & a walk-in shower. Three additional guest bedrooms can be found off the hallway, including a full bathroom & an oversized tub. An incredible feature is the massive bonus room addition above the garage that functions almost as an entirely separate wing of the home as a perfect play space for the family or even a sixth bedroom, complete w/ a walk-in closet & ensuite bathroom. 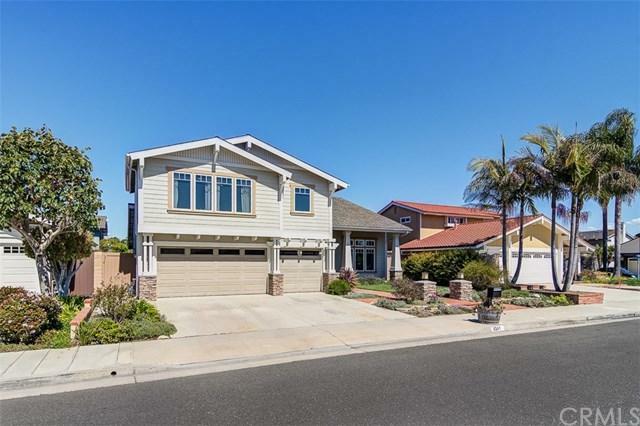 Offering an idyllic floor plan & located in one of the most desirable neighborhoods in Huntington Beach, this quintessential family home can't be missed.